As your commercial roofing services provider in Orillia, ON, we will do everything we can to exceed your expectations. In order to keep your business running smoothly, you need a commercial roofing services provider on your side at all times. This is where our team at Slippery Slope Roofing comes in. 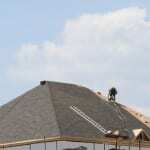 We’re always here to help with your business’ roofing needs in the Orillia, Ontario area. Inspect your roof—if you feel like there’s something wrong with your building’s roof, but you’re not entirely sure what it could be, we will gladly come and take a look at it. Repair your roof—roof problems won’t go away on their own. If there’s a problem with your business’ roof, we can come and fix it. Replace your roof—unfortunately, the roof that sits on top of your building won’t last forever. When it’s time to replace it, we’ll be there to help with the entire process. All of our commercial roofing services are provided in a way that keeps your business and its daily operations in mind. We’ll work quickly and efficiently, without sacrificing for quality, all while making sure that you are 100 percent happy with your experience working with us. If you’d like to know more about our commercial roofing services, what they entail, and what makes them stand out, get in touch with us at Slippery Slope Roofing today. We are eager to earn your business and look forward to forming a long-lasting partnership with your company.